Get A Free Women’s Skin And Hair Care Sample Box! For a limited time, buy this Women's Skin and Hair Care Sample Box for $9.99 and receive an equivalent credit towards your next purchase of select Beauty products. 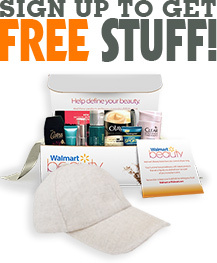 Get A Free Women's Skin And Hair Care Sample Box!